Jason Micheli is a United Methodist pastor in Alexandria, Virginia, having earned degrees from the University of Virginia and Princeton Theological Seminary. He writes the_ Tamed Cynic_ blog, hosts the Crackers and Grape Juice Podcast, and is the author Cancer is Funny: Keeping Faith in Stage Serious Chemo. He lives in the Washington, DC, area with his wife and two sons. Jason Micheli has been a guest on 10 episodes. My guest is Jason Micheli, United Methodist pastor, podcaster and author. We discuss the lectionary passages for the Twenty Fourth Sunday after Pentecost (B): Ruth 1:1-18, Hebrews 9:11-14, and Mark 12:28-34. Episode 60: What's in a Name? My guest is Jason Micheli, United Methodist pastor, podcaster and author. We discuss the lectionary passages for the Sixteenth Sunday after Pentecost (B): Proverbs 22:1-2, 8-9, 22-23, James 2:1-10, 14-17 and Mark 7:24-37. Episode 55: You are the Man! My guest is Jason Micheli, United Methodist pastor, podcaster and author. We discuss the lectionary passages for the Eleventh Sunday after Pentecost (B): 2 Samuel 11:26-12:13a, Ephesians 4:1-16 and John 6:24-25. My guest is Jason Micheli, United Methodist pastor, podcaster and author. We discuss the lectionary passages for the Second Sunday in Lent (B): Genesis 17:1-7, 15-16; Romans 4:13-25 and Mark 8:31-38. My guest is Jason Micheli, United Methodist pastor, podcaster and author. We discuss the lectionary passages for the First Sunday after Christmas (B): Isaiah 61:10-62:3, Galatians 4:4-7 and Luke 2:22-40. My guests are from the Crackers and Grape Juice Team. We collaborated for the first two weeks of Advent, year B. We discuss the texts for the second week of Advent (B): Isaiah 40.1-11, Psalm 85.1-2, 8-13, 2 Peter 3.8-15a, Mark 1.1-8. What does manscaping have to do with Jesus? Was Isaiah a Socialist? Is Climate Change real? What's the difference between resuscitation and resurrection? Episode 20: Strangely Warmed, part 1. My guests are from the Crackers and Grape Juice Team. We collaborated for the first two weeks of Advent, year B. In this episode we discuss the texts for the first Sunday of Advent (B): Isaiah 64.1-9, Psalm 80.1-7, 17-19, 1 Corinthians 1.3-9, Mark 13.24-37; Who wears clip-on bowties? What does it mean to live between two trees? Can replace "faith" with "Jesus"? What do kitten videos have to do with the Kingdom of God? My guest is Jason Micheli, United Methodist pastor, podcaster and author. 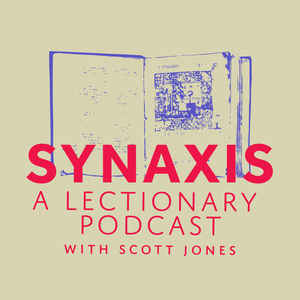 We discuss the lectionary passages for the Ninth Sunday after Pentecost (A): Exodus 12:1-14, Romans 13:8-14 and Matthew 18:15-20. 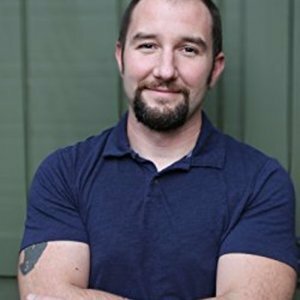 My guest is Jason Micheli, United Methodist pastor, podcaster and author. We discuss the lectionary passages for the Ninth Sunday after Pentecost (A): Genesis 32:22-31, Romans 9:1-5 and Matthew 14:13-21.